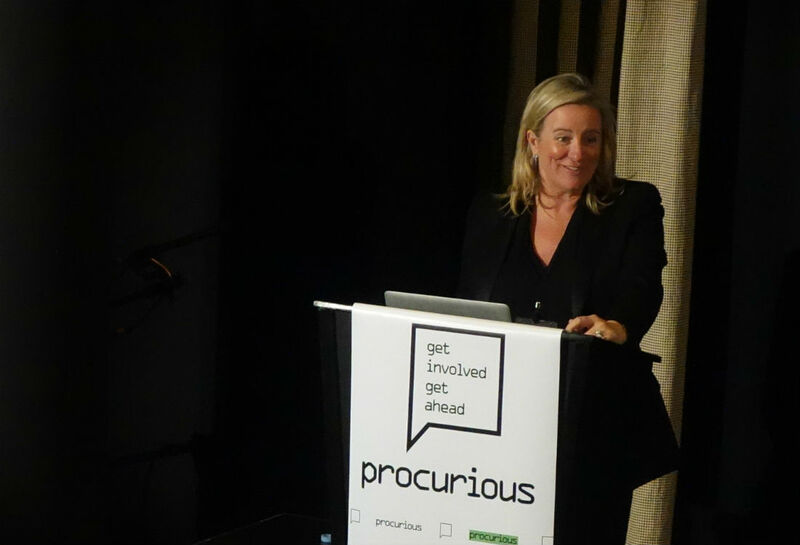 Tania Seary is the founder of Procurious – she is talking today at the Big Ideas Summit, the world’s first digitally-led procurement event. Join the Big Ideas Group to hear 40 of the most influential thought-leaders air their ‘Big Ideas’ on cost, risk, technology and people management. Late last year, I was fascinated to see images taken from a low-flying aircraft in the far western Brazilian state of Acre (AH-cray), the images depict frightened tribal warriors brandishing spears and arrows as they peer up from palm-thatched huts in the middle of the jungle. Brazil’s indigenous affairs agency, FUNAI, has confirmed the presence of 27 indigenous groups living in extreme isolation in Brazil’s vast Amazon region, making it the home of the largest number of uncontacted tribes in the world. The exact meaning of “uncontacted” is a matter of debate, but experts agree that such communities have extremely limited contact with the outside world and that they survive in nearly complete isolation from the global economy. Sometimes I worry that large portions of the procurement profession are “uncontacted”. That is, working in isolation, unaware that there is a whole universe of knowledge available, to help them do their jobs better and learn. Today we are faced with complex supply chain challenges. In fact, it is hard to think about an area of business that modern procurement doesn’t touch – employment law, climate change, human rights…and now social media. Social media is at the epicentre of a storm created by the exploding digital landscape and the rise of ecommerce, which is causing many industries to pivot. We are witnesses to a “social” force that is disrupting and enabling just about every type of business on the planet – recruitment, retail, banking, communications and entertainment… and we are now finding out what it means for supply chain. As the complexity of our supply chains have increased – so too have the number of issues we need to deal with. Most of these issues – child labour, unsafe work practices, exploitation and neglect for the environment, copyright – are too big for any one person – or even any one company – to solve alone. We need to overcome our silo-thinking and competitive mindset and start focusing on what we can achieve for mutual benefit. Harvard Professor Linda Hill says it’s a mistake to think that creativity is a solo pursuit (or perhaps more so, that innovations are usually a flash of individual genius). When many of us think about innovation, though, we think about an Einstein having an ‘Aha!’ moment. But we all know that’s a myth. She says, “Innovation is not about solo genius, it’s about collective genius”. Pixar is used as an example of ‘innovation’ in the movie space. But let’s think for a minute about what it takes to make a Pixar movie: No solo genius, no flash of inspiration produces one of those movies. On the contrary, it takes about 250 people four to five years, to make one of those movies. To come up with the best ideas we need many, diverse perspectives. By involving more views, life and career experiences, demographics, cultures etc… we increase the pool of talent and therefore ideas that are working to solve problems. Robin Chase (co-founder and former CEO of Zipcar, an innovative car sharing service) has some great thoughts on the benefits of building community resilience or community reflex. She believes – the more community resilience we can build into things, the better. She believes – we need to exercise our community muscle. So when bad things happen, or when we’re looking for solutions to big problems, we turn first towards thinking that we’re going to solve it in a community way. So… let’s just say there is a typhoon in your South East Asian supply chain, you don’t have luxury of days/weeks to travel there, talk to people and figure things out. Why not go straight to your procurement community on Procurious and alert them for help? You will be amazed how the community responds with alternate suppliers, solutions and on the ground contacts. If we start, and maintain, this level of support, it will become an instant reaction – a community reflex – and if we keep repeating that action, then we will build community muscle. How powerful would that be? It is very exciting to think of what the global procurement community could achieve if it started to flex its muscle… literally! We need to achieve positive interdependence where every person in the profession perceives that they are linked with each other in such a way that one cannot succeed unless everyone succeeds. We need to realise that each person’s efforts benefit not only him – or herself, but all other group members as well. So, rather than being isolated, we could connect with other professionals and work together to use our collective commercial power to take procurement to “the next level” at the minimum, or to do something great for the world at the maximum. Given all the benefits of collaboration that I have outlined here today, I think the procurement profession should take on the open source programmers’ mantra… or code of conduct if you like. Egoless – The only way we can improve is to be open to feedback and give honest, non-judgemental feedback to others. Team players – Share information that everyone can benefit from. We need to give back to the profession as it gives to you. Learners – What’s relevant today didn’t even exist 5 years ago. We have to constantly learn new things. T-shaped – It’s OK to specialise in one narrow field, but we need to have a general understanding of a broader range of business issues. Relentlessly resourceful – You don’t have to be able to solve every problem yourself, but you should know where to go to find the answer. Once we start to flex our muscle as a global community, the opportunities for procurement to make a difference are boundless. What is your BIG IDEA for our first collaboration project? Tania is the Founding Chairman of three companies specialising in the development of the procurement profession - The Faculty, The Source and Procurious. Procurious has been built as the world's first online social network to help a new generation of procurement professionals to "get involved and get ahead". Procurious is a culmination of Tania's long-held belief that improved networking, training and communication are critical to the progression of the procurement profession globally. The Faculty is recognized as one of Australia’s leading advisors on procurement development. Established twelve years ago, The Faculty works with leading organisations to transform and elevate the role of procurement, build high performance procurement teams and create professional knowledge networks. Under Tania's leadership, The Faculty has instigated a number of "firsts" for the procurement profession in Australia, including the development of a Procurement Executive Program through Melbourne Business School, the establishment of a Procurement Roundtable which includes many of Australia's leading organisations, creation of an annual Chief Procurement Officer (CPO) Forum and attracting leading global procurement thought leaders to teach in Australia. She also initiated the Corporate Board for Social Procurement, which has created a foundation for leading corporations to dedicate appropriate areas of spend toward social enterprises. Four years ago, Tania founded The Source, a specialist recruitment firm for the procurement profession. In 2013 she moved to London and founded Procurious. Tania’s fascination and commitment to procurement development started around fifteen years ago in the United States. After finishing her MBA at Pennsylvania State University, Tania became one of Alcoa’s first global commodity managers. Prior to moving to the USA, Tania’s career was focused on marketing roles within Alcoa and Rowland in Australia, and the Walt Disney Company in the UK. Tania has an MBA and a Bachelor of Business. Is AI Doing Your Head In?